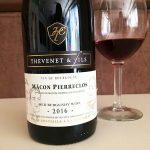 Bing cherry notes and general joyousness make this red from the southernmost part of Burgundy like a friend you want to be around. You’ll get dark fruit (there’s that bing cherry) and dark and red berries. It’s intense, lively, and sprightly. 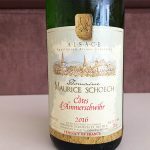 The Côtes d’ Ammerschwihr from Alsace is a dry white wine with a richness and a floral quality to it. A tiny bit of Muscat gives the wine lift. We love a good wine that punches above it’s weight. 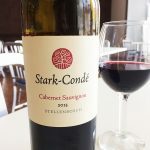 This Cabernet Sauvignon made by the Stark-Condé Vineyard in Stellenbosch does exactly that. It’s a $20 cab that drinks like a $35 bottle of wine. 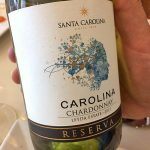 From one of the oldest wineries in Chile—Santa Carolina—a favorite of ours, comes a well-balanced chardonnay that’s got a richness to it, but is neither too oaky nor too buttery. And, it’s $10 a bottle. Move over Pinot Grigio, there’s a new white in town. 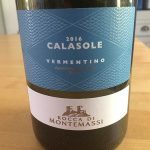 Try this crisp $15 Vermentino (grape varietal) from Italy’s Tuscany region.